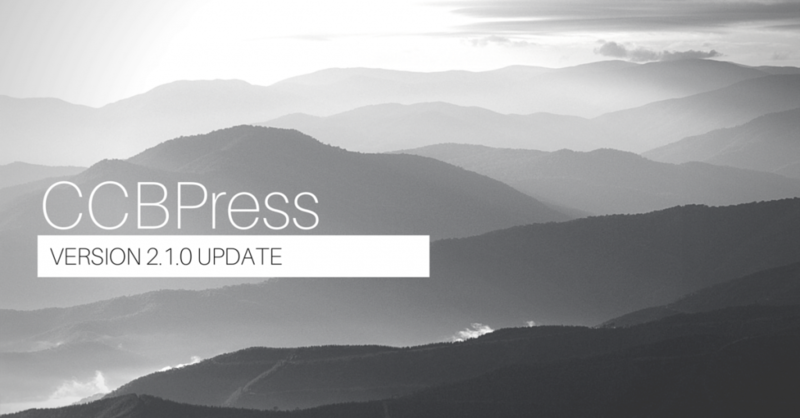 CCBPress version 2.1.0 is out today. This version comes with a few new features and changes. The Online Giving widget displays a simple button that will open your Church Community Builder Online Giving page. The CCB Login widget allows you to put a CCB Login form in your sidebar. Your users can then enter their credentials on your site to open and log in to CCB. 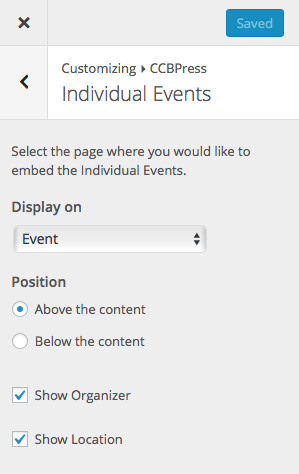 The Individual Event design has been tweaked to blend in with your site more seamlessly. There are also now Customizer settings to turn on/off the Event Organizer and Event Locations. New widget: CCB Login form. New widget: Online Giving link. Added the new include_image_link parameter to the appropriate group profile services. Updated the group_profile service to contain the new campus_id parameter. Fixed errors when adding widgets through the Customizer.